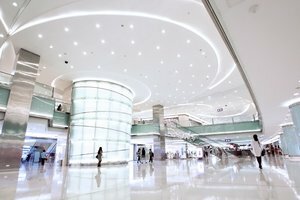 This fresh and commercial Mall Atrium is strategically located in the heart of Beijing. It is a popular shopping destination for both local residents and visitors of Beijing. The space is an ideal venue for a Pop-Up Store, Product Launch and Fashion Show. 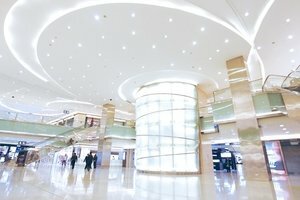 The mall is flanked by eight grade-A office buildings, three luxury serviced apartments and the five-star Grand Hyatt Beijing hotel. The mall is comprised of 3 levels with a multitude of international brands, local specialty shops and internationally-acclaimed restaurants, enhancing the shopping experience for shoppers and catering to their different tastes, styles and demands. 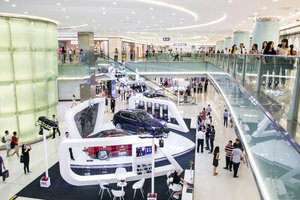 At any given day, the mall draws a large crowd from the office towers, apartment, hotels and Wangfujing street in the immediate vicinity, ensuring the success of any event held in its premises. With wonderful interiors comprised of contemporary tiled flooring and high ceilings, this venue has an elegant atmosphere. With facilities including air-conditioning and basic lighting, this venue can accommodate a range of pop-up events. This 150 sq m space is located at the heart of the Malls in LG Level. The spacious and elegant environment is suitable for brands to strengthen their image and market presence.